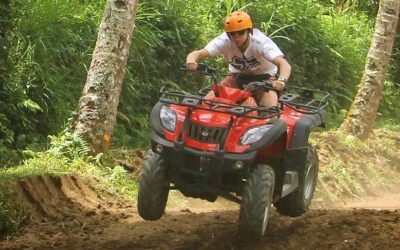 Getting picked up at your accommodation in the morning and get a ride around an hour to the place of this activities. 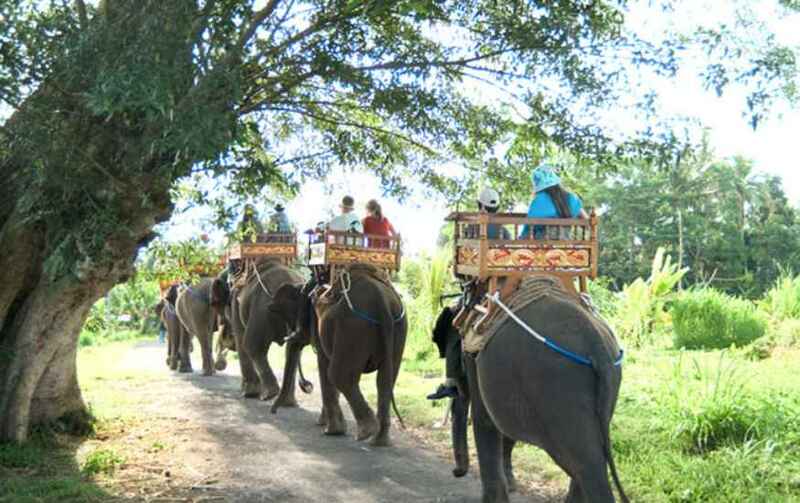 Then, befriend a great Sumatran elephant on the Adventurer Elephant Trek! 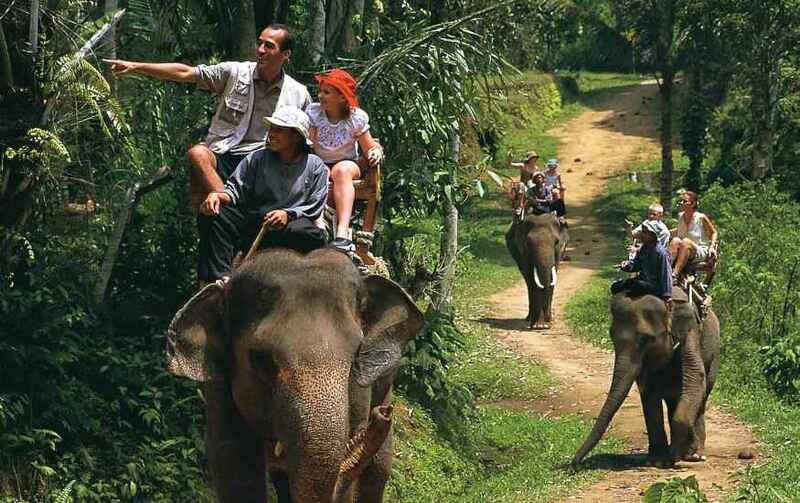 Safely perched on the broad back of this majestic giant, plunge into a verdant tropical landscape, catching glimpses of chattering monkeys and colorful birds, as the trail follows the banks of the scenic Ayung River. At the end of the 30 minutes trek, you intelligent mount will cool off in the wading pool (while carefully keeping you high and dry!). Next, head to river rafting starting point. 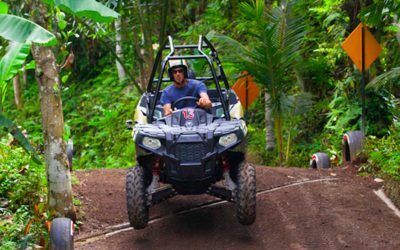 Discover hidden waterfalls, swim in the pristine water and feel the thrills of the paradise river. 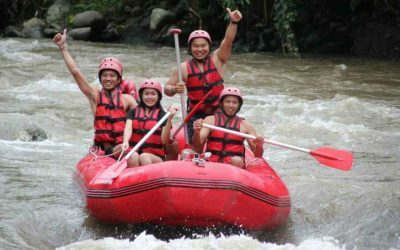 For approximately 2 hours you will have the highest enjoyment of rafting and as well experience an unrivaled way to appreciate the natural scenery, wildlife, and exotic plants of Bali. Be sure to enjoy the views from the stunning restaurant and bask in the energy of one of Bali’s most tranquil settings. Tasty and flavorful buffet lunch is served in our duplex restaurant with stunning Ayung valley view and rice field will helps you feel relax and chilled after long journey. Washing room, toilet, and tropical garden restaurant is available. At the end, guests will be dropped off to original pickup point. 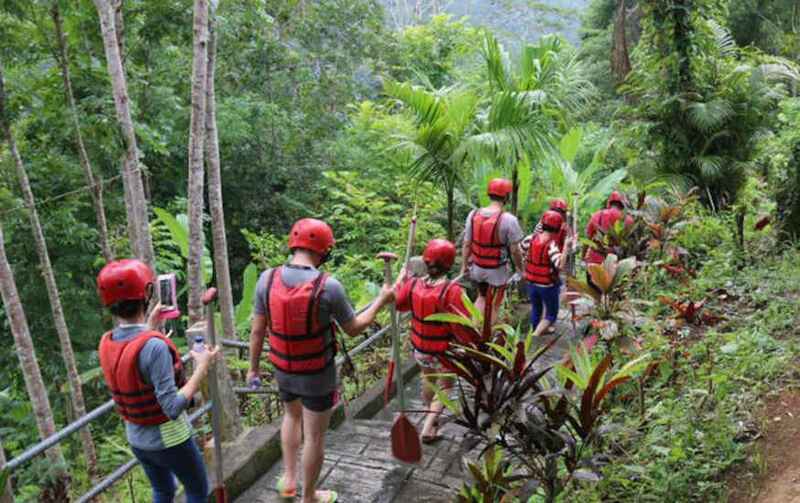 On this experience please be ready to step around 400 stairs down and another 400 stairs up, it is more for exercise before starting the raft and after finish the raft. 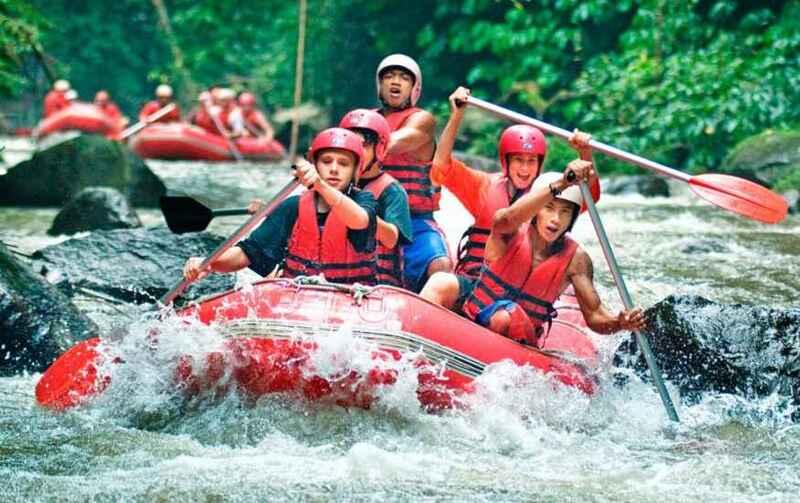 It will be fun and awesome experience, your safety and happiness will be our first concerns.